With 4 billions video views per day on the immensely popular website YouTube, why not try your luck in becoming a YouTube sensation by starting your own vlog, ranging from instruction videos and strumming some notes on the guitar in the hope to get noticed by Usher and become the next Justin Bieber. Although there is a catch YouTube has 1 billion users. So you’ll have to stand out from the rest. Vlogging on YouTube has skyrocketed into popularity especially within the instruction video sector. Anything from cooking tutorials, to online gaming tips and makeup tutorials are available at your fingertips. You just have to find a vlog that ticks all the boxes for you. YouTube videos allow viewers to comment on the video and ask questions and to make comments about how to improve video and request topics that they want to be covered. This provides the creator of the videos an insight into the activity, wants and needs of the videos. A screenshot from Loz Curtis’s beauty blogging site. 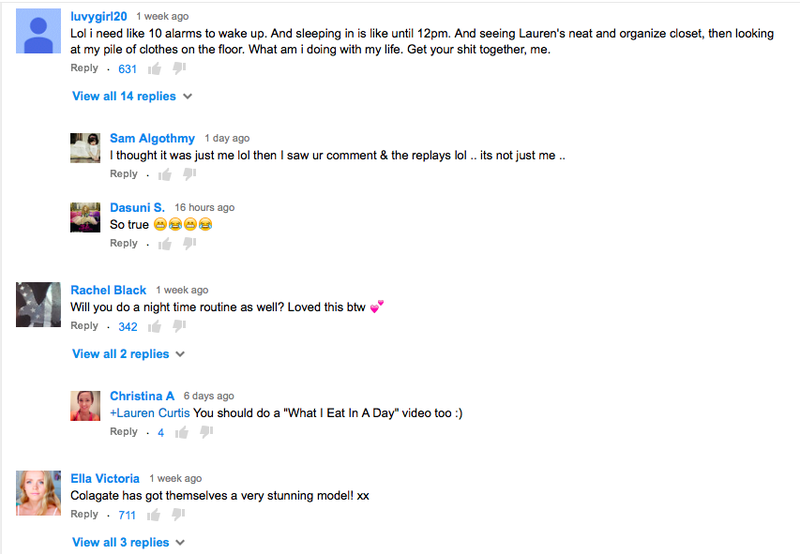 This is a viewer commenting on the video and asking her to do a video on another topic. YouTube vlogging allows a niche market of people to express their interests and discussing ideas with like minded people, producing a video that appeals to the niche market allows one to be successful in that certain sector. It is surprising how many people follow certain blogs that one would find a very rare interest. Vlogging allows individuals to express their own interest within modern society, YouTube has dramatically enhanced the power of self-expression and a way to connect a individuals with shared interests from all over the globe. The power of 21st century technology has allowed people to connect and share and vlogging is a further extension of this, It connects individuals with a shared interest together. 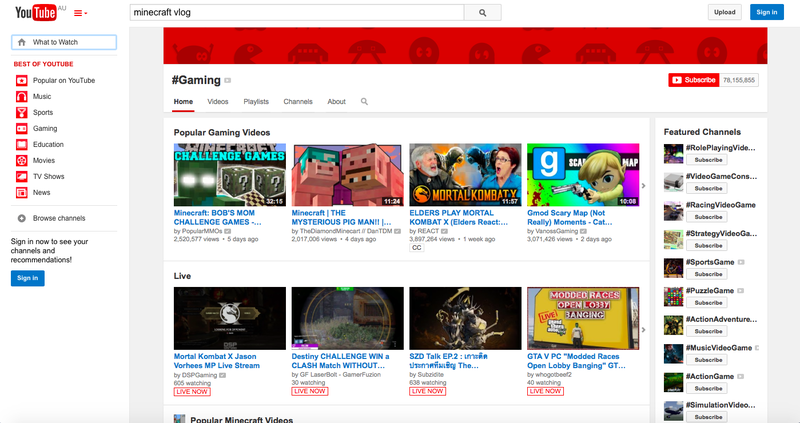 Another example of the variety of vlogs available to viewers is seen within YouTubes structure, YouTube selects the most popular videos and categories it which allows you to view popular videos on your chosen interest. An example of this is the gaming sector of the Youtube, which is being constantly being updated by people all over the world. Vlogging allows individuals to connect across the globe in shared niche interests, it creates a connection.